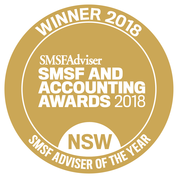 I knew with all the recent changes to Superannuation that many of my clients would need to update their SMSF Trust Deeds and started doing my research for a blog. Then I came across a recent blog from Dr. Brett Davies at Legal Consolidated today and I could not really improve on it. So with his permission, I am re-blogging his content here. 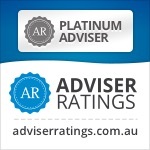 Why does my SMSF Specialist Advisor / Accountant want to apply these SMSF updates? Allowing non-lapsing Death Benefit Nominations. Update your Deed to ensure your SMSF is compliant. Then you get the most out of your SMSF. ‘Resettlement’ is when you create a new ‘trust estate’ out of an old trust. This applies to SMSFs and causes significant tax implications. However, there is no risk of resettlement under the High Court authority of Commercial Nominees (2010). Updating your SMSF Deed through Legal Consolidated does not result in the resettlement of your SMSF. We retain the parts of the old Deed that are required by legislation and previous court decisions. But this does not affect a resettlement. Make sure to check your with your own current deed provider or ask your adviser to check out Legal Consolidated’s offer.